Etsy shops live and die by the quality of their product photos. Superb photos stand out in search results, ignite the hearts of potential customers, and beg to be favorited or pinned on Pinterest. Sellers in the market for a new camera often fool themselves into thinking a high-end camera will be the answer to their photography woes – yet several top Etsy sellers achieve high-quality photos with a lowly phone camera. It’s important to consider your goals when buying a new camera. I made the leap to a DSLR primarily for family photos – product photography just came along for the ride. If you’re buying a camera exclusively for product shots, it’ll be hard to justify the cost of a higher-end camera. It’s worth reading the basic product photography article to make sure you’re producing the best shots possible on your current camera. Educating yourself about camera options is a daunting task itself. I’ve gathered some general information and thinly-veiled opinions to help you wade through the abundance of cameras available. Phone cameras have traditionally been mocked for their lackluster optics, low-resolution photos and lack of control. The latest crop of smartphones have surprised everyone by smashing expectations and delivering quality comparable to dedicated cameras. The last three models of iPhone are now each responsible for more pictures on Flickr than any Canon or Nikon flagship camera. Serious photography sites like DPReview are favorably reviewing cameras on phones from Apple, HTC, Samsung and Nokia. Products like the olloclip lens and Glif tripod mount make regular use of a phone camera a serious option. Compact cameras, often called point and shoot cameras for their simple operation, are one step up from phone cameras. Designed to be portable and fit in pockets or purses, these slim cameras have a difficult time offering top-notch sensors or advanced controls. Yet even the meager compact has come a long way in the digital era and several models offer respectable photo quality at an affordable price. DSLR cameras are bulkier cameras with higher-end hardware and features. The SLR namesake – single-lens reflex – offers a minor improvement in presenting the true scene to be captured in the viewfinder; the stark difference in quality comes more from the sensor size and advanced controls in these cameras. DSLRs have higher build quality and better optics because they’re marketed to professionals and serious consumers – but they also carry a price tag to match. Entry-level DSLRs can run $400-700. MILC – mirrorless interchangeable lens cameras (quite a mouthful) – are attempting to bridge the gap between compact and DSLR cameras. As the name implies, these cameras don’t require a mirror in the body of the camera like a DSLR, which means they can offer similar high-end features without the bulk of a DSLR. Packing these premium features into a smaller package doesn’t result in a cheap camera – MILCs are generally more expensive than their DSLR counterparts. What’s all this talk about sensors? The sensor is what captures light in the camera and translates it to an image – it’s the digital equivalent of a roll of film. It’s what makes the biggest difference in image quality and inconveniently one of the hardest things to understand in camera specs. Understanding why bigger sensors lead to better quality photos is a topic in itself, but the simplest explanation is that a larger sensor can capture more detail and a wider range of light from brightness to shadows. To get a rough idea of typical sensor sizes, let’s look at sensors across the different types of cameras listed above. It’s plain to see from the sensor area that there’s a humongous gap between compact cameras and the high-end DSLR and MILC options. Most cameras aren’t marketed for sensor size, since it’s hard to look good with a smaller sensor against the DSLR giants; instead, cameras are often sold on the megapixel count. Presented by millimeter measurements, sensor sizes are straight-forward to figure out. Camera specs won’t always be so kind. There’s another common measurement for sensors called sensor type that shows numbers like 1/1.8″ or 2/3″. Sensor type measurements hearken back to TV tubes in the 1950s – they measure the outer diameter of the tube which would roughly dictate the square internal size. This measurement is misleading and often inflated – which is why camera manufacturers love to use it. For example, a 2/3″ sensor size is not actually 17mm (2/3 of an inch) diagonally – it’s 11mm. DPReview has a sensor size chart to help figure out cryptic sensor types. Megapixels are a measurement of the number of photosites on a sensor – in other words, the number of dots that can capture light to create the final image. In general, more dots means more detail on the final image, but this is where we get into trouble. Not at all dots are created equal. Pixel quality matters; imagine cramming 30 people in an elevator that comfortably fits 15. Slapping more megapixels on the same size sensor decreases the quality with which each dot can measure light. Megapixels do matter, but a 16 megapixel camera may not produce better images than a 12 megapixel camera. Sensor size is a more reliable indicator of image quality. The megapixel count in any modern camera will greatly exceed what’s necessary to produce a high-quality image for the web, or even print – 5 or 6 megapixels will do the job nicely and most compact cameras start at 10 or 12 these days. If you’re printing posters from your images you may want to pay attention to both sensor size and megapixels – otherwise, don’t get too caught up in the marketing. Higher-end cameras offer a potentially important feature – interchangeable lenses; MILC even has it right there in the name! This is just what it sounds like – the lens on the front of the camera can be detached and swapped for another lens. Swapping lenses allows the camera to serve many more purposes than it could with just the kit lens (the lens that comes with the camera). Lens options range from telephoto for taking distant shots to macro lenses for extremely close-up photos, as well as some specialty lenses like wide-angle or fisheye. Most DSLR buyers find themselves comfortably using the kit lens for the life of the camera, so it’s questionable whether this feature will be important to you. If you do fall down the rabbit hole of professional photography, interchangeable lenses are a great way to extend the utility of your camera. 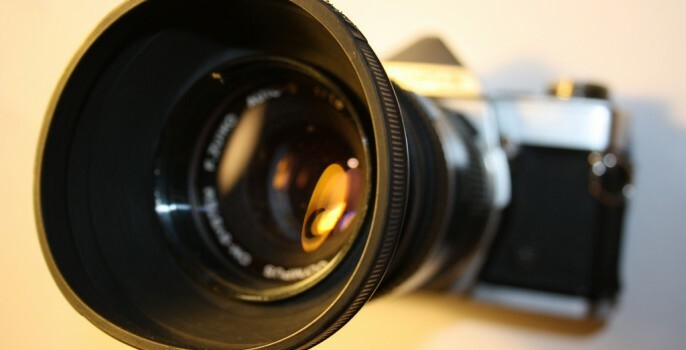 Nikon and Canon DSLRs are compatible with lenses from pre-digital SLR models, so buying from these brands that have dominated the professional market for so long makes it possible to find used lenses for a song. Another feature found in high-end cameras and only more recently working its way into compacts is image stabilization – also called vibration reduction in the Nikon world. This technology detects movement – which there will be any time you’re not using a tripod – just before and during exposure and attempts to correct for it. It works amazingly well and will save many handheld photos, especially in lower light situations. Though different image stabilization technologies are roughly equal across camera manufacturers, there’s some divergence on whether the stabilization is baked into the camera body (sensor stabilization) or the lens (lens stabilization). Some camera manufacturers argue that lens stabilization is able to produce better results. True or not, it means you end up buying the technology over and over with each lens – and more importantly, you won’t be able to use this feature with old interchangeable lenses unless the camera has in-body sensor stabilization. Phone cameras and compacts have leap-frogged many DSLRs in one area – offering HD video capture. Many entry-level DSLRs don’t offer video capture, which could be worth considering. I didn’t personally find it compelling for my camera purchase – but if you intend to shoot video, it may be worth springing for a more advanced model that includes this feature. I’d hate to present a whirlwind of information and fling you into the camera world, so I’ve come up with some camera recommendations for each class of camera. These cameras aren’t the cheapest options, but they’re best-in-class for the price. Camera recommendations updated February 2014! Cover image by potzuyoko on Flickr. Recently someone was asking the same question to me, which camera should he buy for shooting products. Thank you for explaining all of options with detail example here. Thanks for stopping by – and for the nice note!